The Cadillac-LaSalle Club Museum and Research Center , founded in 1995 to preserve the legacy of America ’s most successful luxury automobile, has announced plans to locate its museum at the Gilmore Car Museum in Hickory Corners, Michigan this spring. 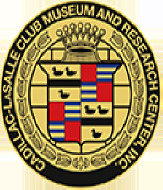 Opening on May 1, 2010, the Cadillac-LaSalle Club Museum will utilize an existing historic building on the Gilmore campus while funding and facility designs are finalized for an all-new, 10,000-square-foot exhibit building. A competition between retired automotive stylists will determine the look of the new structure—possibly as a vintage car dealership or other historic recreation. The new Cadillac-LaSalle Club Museum will provide the 7,000 member organization a permanent home for its collection of automobiles, display engines, and artifacts that span the history of Cadillac and its companion car, LaSalle. Cadillac introduced its first model at the New York Auto Show in 1903 and built the LaSalle from 1927 through 1940. Eleven donated automobiles, including a 1931 Cadillac Sedan, a 1937 LaSalle Convertible Sedan, a 1941 Cadillac 60 Special (the design triumph of GM stylist Bill Mitchell), a 1948 Cadillac 60 Special (the first Cadillac with tail fins), and the 1957 Cadillac Brougham used in the film "Driving Miss Daisy" will be displayed. When completed, the Cadillac-LaSalle Club Museum will house examples of automobiles, artifacts, memorabilia and ephemera, as well as educational exhibits covering the entire story of Cadillac and LaSalle. “After an exhaustive survey of potential museum partners across the Country, we are pleased to be joining the Gilmore Car Museum ,” said Paul Ayres, President CLCMRC. “The Gilmore is rapidly becoming the nation’s premier auto museum,” he said. The Gilmore Car Museum , located in Hickory Corners, near Kalamazoo , Michigan , is renowned for its collection of over 200 extraordinary vehicles as well as its 90-acre park-like campus made up of historic buildings. A small town train depot, 1930s gas station, 1941 diner, and a re-created Franklin auto dealership circa 1918 are just a few of the buildings currently on the ever-expanding grounds. It also serves as the home to the Classic Car Club of America Museum, the Pierce-Arrow Museum , The Franklin Automobile Collection, and the Tucker Historical Collection and Library. Soon to be joining the Gilmore are the Lincoln Motorcar Foundation and the Model A Ford Foundation. LaSalle was introduced in 1927 to fill the price gap between Buick and Cadillac, and was produced through 1940. The marque is credited with moving General Motors’ styling away from engineering and creating its own department: the “Art and Colour Design Studio” headed by Harley Earl.